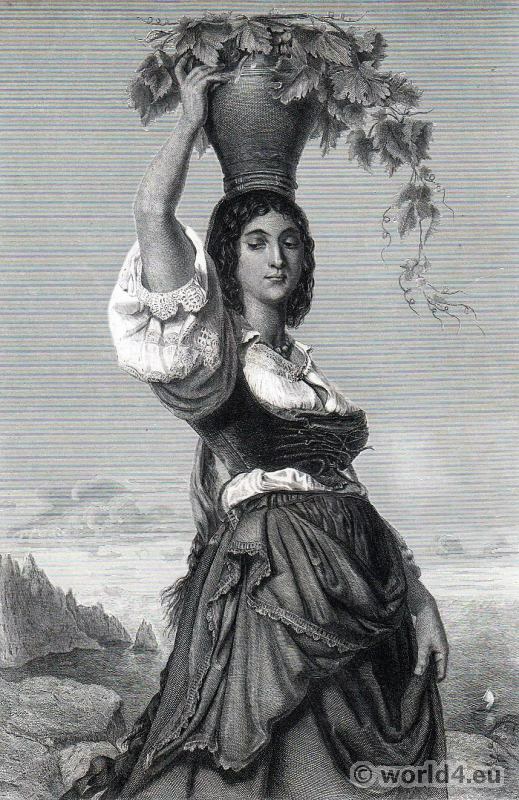 Girl of Capri at grape harvest. Home » Girl of Capri at grape harvest. Grazia, Vendangeuse de Capri, 1840 by Amedée Bodin 1825-1890. This entry was posted in 1840, 19th Century, Italy, Traditional and tagged Traditional Italy national costumes on 1/23/15 by world4.